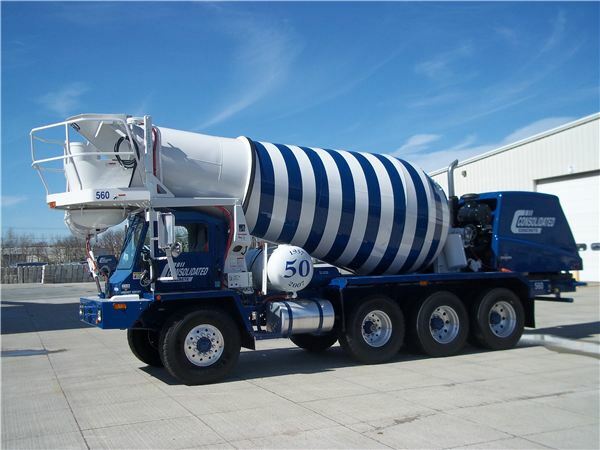 Since 1957, Consolidated Concrete Corp. has been family owned and operated and has grown to be one of the largest ready mixed concrete companies in Southern New England. Concrete, Flowable Fill and Blocks are our business. We owe our steady growth to repeat customers who have come to rely on us. Our customers are our best advertising. Builders depend on our fast delivery, whether it be Flowable Fill or 6,000 psi concrete for foundations, parking lots, swimming pools or retaining walls. We work hand in hand with form companies, finishers, and excavators in our area, and we can put you in touch with competent sources for this work, if you desire. We will make every effort to help you bring your job from concept right though to completion. Our fast, courteous service will delight you. Throughout the industry, Consolidated enjoys a reputation for getting concrete to the job on time, and to the precise specifications required. Whether you need one yard or a thousand, Consolidated delivers in our state of the art Oshkosh Front Load Mixers. We offer our customers both central-mix and transit-mix. Our central-mix plant is the largest in Rhode Island and is capable of producing 100 yards an hour. We can deliver 1,000 yards in a working day, if required. Every batch is computer blended and recorded. Our central dispatch unit maintains contact with our drivers by radio and also tracks our vehicles via state of the art GPS to insure immediate response to problems and to guarantee uninterrupted service. From our two modern plants in East Providence and Coventry, we cover most of the State of Rhode Island and Southeastern Massachusetts. Do-It-Yourselfers rely on Consolidated to provide the proper mix in the precise quantities to get the job done right. Our telephone consultation service will be happy to recommend the proper mix and batch size for you. We can even arrange for special equipment to get into those hard to reach spaces. Our special in-house blends for Concrete or Flowable Fill, will answer your every construction need, from house foundations to swimming pools.